Well, you get the picture. And what a delicious picture it is! National Waffle Week, held September 2-8, is the time when we all get to celebrate our love for this awesome breakfast/dessert treat. Getting ready for a waffle feast? Waffle sandwich? Waffle cone? Then you’ve come to the right place. And oh, yes. Don’t forget about National Waffle Day! Brothers Anthony, Sam, and Frank Dorsa invented ​Eggo waffles — originally called Froffles (short for frozen waffles) — in San Jose. Cornelius Swartwout, an American inventor, patented a type of waffle iron. 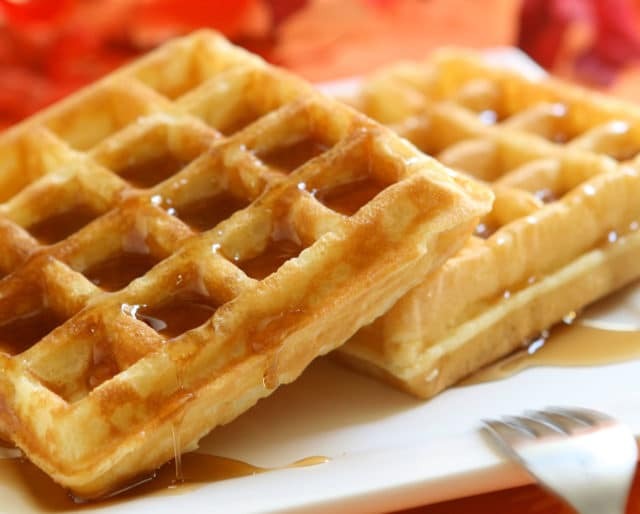 The date is now celebrated as National Waffle Day. An anonymous manuscript, "Le Menagier de Paris," depicted a set of waffle-making instructions from a husband to his young wife. ​Communion wafers (typically depicting religious imagery) appeared. These wafers were usually round and sometimes flavored with honey. The basics: butter, flour, baking powder, salt, sugar, milk, eggs, waffle iron. Done! We all have our favorite waffle toppings, but in the spirit of National Waffle Week, maybe try adding something different — caramelized onions, perhaps. Or sweet corn! Invite your neighbors over for a waffle feast. Put out a bunch of savory toppings and tell your hungry guests to try them all! ​Waffle parties were popular pastimes in colonial New Jersey and New Amsterdam (New York City). Nike co-founder Bill Bowerman used his wife's waffle iron to create a new and improved sole for his running shoes. ​Guiness World Records lists the world's largest waffle as a 110-pound, 8-foot diameter behemoth made in the Netherlands. ​The Waffle House serves 145 waffles every minute, and has served almost 900 million waffles since opening. It's the simple things in life that often bring us the most joy. Picture this: an enormous waffle covered in melted butter and warm maple syrup. Yes, please. Just about every breakfast joint — from the national chains to the mom-and-pop diners — serve waffles. So there's no reason to go waffle-less during National Waffle Week. Don't feel like heading out for waffles? No problem! They require only a few simple ingredients.